The Kentucky, Ohio and West Virginia Radiocarbon Database | Cultural Resource Analysts, Inc. Published in 1995, the article that follows appeared originally in the West Virginia Archeologist (Volume 47:1-2). It is provided here with the permission of the journal’s editor in an effort to make the data accessible in a magnetic format and to reach a larger audience. the radiocarbon database represents many years of cooperation between professional and amateur archeologists as well as universities, agencies and private consulting firms. It should be stressed that even though this is a final publication this database should be viewed as a working document that will be continuously updated and corrected…While reviewing this issue one will notice many blanks and a few question marks. I just noticed that a number of TL dates were also included and its too late to delete them. We encourage you to fill in these blanks and send the data to Chuck Niquette who will make the necessary corrections and keep the database current. For starters we need the names of two radiocarbon labs to complete Table 3. We could not find radiocarbon laboratories for Lab numbers C and X. These may be typographical errors or represent early laboratories that have subsequently gone out of business. Time periods and components have to be filled in for numerous sites, especially in Ohio. This information should be supplied by those people who ran the dates, those who published the dates or others who are familiar with the data and publications. Radiocarbon dates will be useful for developing local chronologies only if good associations of diagnostic artifacts can be demonstrated. This is why the authors and others associated with this project urge the readers to check the original publications for associations and interpretations when using these dates. The vast majority of the 500+ archeological sites in this database are unstratified and multicomponent so a radiocarbon date from a good charcoal sample gives us little information unless it has a good association with diagnostic artifacts. The editor and authors thank those dozens of archeologists who have contributed to the database over the past several years. Special thanks are due to Shaune Skinner, Kitty Butterworth, Marin McFarland and Bruce Aument for compiling the Ohio database which represents the largest database in the tri-state area. Special thanks are also due to Dave Martin who spent several weekends and countless hours formatting the database for final publication in order to have it available for the Eastern States Archeological Conference in Huntington, October 24-27, 1996. A total of 1919 radiocarbon dates for archeological sites and objects in Kentucky, Ohio and West Virginia has been compiled by the Council For West Virginia Archaeology. These data represent most radiocarbon dates available for the region up to August 1996. The database is presented in a tabular format in ascending order of radiocarbon age. The database includes site numbers, site names, components, time periods, lab numbers, radiocarbon age, sigma, calibrated age and references. Radiocarbon dating has been an important tool for interpreting the archeological record since the technique was first developed by Willard F. Libby and his team of associates at the University of Chicago in 1947. Prior to the growth of cultural resource management (CRM) in the 1980s, the majority of radiocarbon dates were obtained by the academic community (Table 1). The U.S. Army Corps of Engineers, and other federal agencies as well, contributed to an explosion of new archeological associated data and corresponding absolute dates when it began including requirements for radiocarbon dating in their CRM contracts. CRM also provided the impetus for the development of commercial radiocarbon laboratories. At first, radiocarbon dates were processed by university research laboratories; however, the vast majority of dates run during the last decade were processed by commercial laboratories (Tables 2 and 3). The first radiocarbon database in the Kentucky-Ohio-West Virginia tri-state area was West Virginia’s; the list was published by Edward V. McMichael in 1965. Twelve years later, this database had been expanded to 73 dates by E. Thomas Hemmings (1985). Hemmings critically evaluated the accuracy of each date and constructed a cultural chronology for the state based on this database (Hemmings 1985). During this time, Robert F. Maslowski set up a radiocarbon database for the Huntington District Corps of Engineers, which eventually included over 150 dates for various district projects in Kentucky, Ohio and West Virginia. By 1987, Maslowski (1988) included a listing of 189 West Virginia radiocarbon dates from 65 archeological sites in West Virginia as an Appendix to a bibliography of West Virginia archeology. This list also contained 8 dates on botanical samples and 11 dates on geological samples. O. H. Prufer and D. H. McKenzie (1967) published a list of radiocarbon dates for Ohio in 1967, and updated the list in their 1975 reprint. As more radiocarbon dates were reported, Ms. Shaune Skinner of Archaeological Services Consultants, Inc., in Columbus, Ohio, began appending the dates to the database. Her efforts were then supplemented by Mr. Bruce Aumet, a former employee who currently works for the Ohio Department of Transportation. Kentucky’s first radiocarbon database was compiled by Christopher A. Turnbow in 1981. He assembled a register of over 300 dates for Kentucky. Mr. Charles M. Niquette of Cultural Resource Analysts, Inc., in Lexington, Kentucky, obtained versions of both the West Virginia and Kentucky databases from Dr. Robert F. Maslowski in the early 1990’s. Mr. Jonathan P. Kerr of Cultural Resource Analysts, Inc.’s Lexington, Kentucky office, and Mr. C. Michael Anslinger of the firm’s Hurricane, West Virginia office, assisted in maintaining the database as Mr. Niquette appealed to colleagues in the tri-state area to provide him with new dates as they became available. 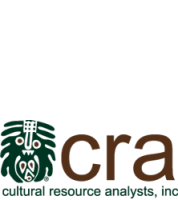 Early in 1996, Cultural Resource Analysts, Inc., agreed to combine databases from the tri-state area and prepare the united database for publication and to publish it as a joint publication of the Council For West Virginia Archaeology and the West Virginia Archeological Society. Mr. Derek M. Wingfield of Cultural Resource Analysts, Inc.’s Lexington, Kentucky office organized and prepared the database for final publication. The following radiocarbon dates were calibrated using a computer software program called CALIB (Version 3.03c). The program was written and distributed by Ms. Minze Stuiver and Ms. Paula J. Reimer of the Quaternary Isotope Lab at the University of Washington in Seattle, Washington. Before the radiocarbon dates could be calibrated, certain decisions had to be made in order for the program to yield desirable information. CALIB was set to calibrate atmospheric samples only. Dataset 1, which is limited to 0 to 18,360 BP, is based on bidecadal tree-ring data and smoothing spline of marine coral data. The probability distribution around the calibrated age intercepts were calculated versus the calibrated age. The resulting age ranges were corrected at both 68.3% and 95.4% confidence levels. The 68.3% confidence level contains the area under the distribution curve for the one sigma calibrated age range. One sigma equals the square root of the product of the sample’s standard deviation plus the curve standard deviation. The 95.4% confidence level contains the area under the distribution curve for the two sigma calibrated age range. Two sigma equals the two times the square root of the product of the sample’s standard deviation provide an estimate of the importance of each age range. The 95.4% confidence was used to increase the probability of the date range for the samples. Due to size constraints for publication, these ranges were not published; however, they are available, from Cultural Resource Analysts, Inc., upon request. A lab error multiplier of 1.0 was entered for all samples. The samples were calibrated in terms of calendar years Anno Domini (AD), Before Christ (BC) and years before present (BP). The results were added to a Paradox 7 database containing the samples’ site, provenience, and reference information. The database was exported to Excel 7 for publication production. Site Number: This column provides the trinominal number assigned to the site. Site Name: This column shows the name of the site. Time period: This column indicates the temporal period assignment to the site or component. Component: This column gives cultural assignments based on diagnostic artifacts or features. Lab Number: This column provides the number assigned to the carbon 14 sample by the processing laboratory. C14 Age: This column shows the carbon 14 age, in years before present, assigned to the sample by its processing laboratory. Sigma: This column gives the error assigned for each sample by the lab. Date: This column provides the carbon 14 age in terms of AD and BC. Calibrated Age: This column indicates the calibrated age of the sample in terms of AD and BC. Calibrated BP Age: This column gives the calibrated age of the sample in terms of years before present. References: This column provides a reference for the sample, generally the reference where the date was originally published or a secondary reference where the date has been listed. Unpublished dates are referenced by the agency, firm or person who was responsible for submitting the sample for analysis. This radiocarbon database, compiled from sources throughout the region, contains a number of inherent biases (evident in Tables 4, 5, 6 and 7) which should be mentioned. A geographical bias obviously exists in the database. For example, the data show that Ohio has reported more dates than Kentucky and West Virginia combined. It is likely that this represents a higher frequency of Federally mandated CRM projects in Ohio compared to Kentucky and West Virginia. Another bias evident in the database is a temporal bias. This bias is demonstrated by the greater number of Late Prehistoric dates reported in all three states. The greater number of Late Prehistoric radiocarbon dates may be the result of many factors, including the general increase in Native American populations by this time, better preservation on Late Prehistoric sites, or a higher frequency of Late Prehistoric sites on landforms most commonly affected by development projects. The temporal bias of this database is demonstrated further by the fact that there are no Paleo-Indian radiocarbon dates reported in West Virginia and very few reported in Kentucky and Ohio. The problems of low site visibility and poor preservation of Paleo-Indian sites are faced by all researchers in eastern North America. Originally, the West Virginia Archaeological Council planned to evaluate all the radiocarbon dates as to presumed accuracy, cultural and temporal component and to prepare a series of revised cultural chronologies based on accurate radiocarbon chronologies. This would have delayed the project several years and it was decided to publish the database with references as a tool which could be used by other researchers. Researchers are urged to check the published references and determine for themselves if the context, temporal and cultural affiliations are accurate for their particular needs. Researchers also are urged to notify the authors at the address below of any errors encountered in the database. Projects such as these are not static, rather they are a dynamic process that has no clear-cut ending. With this in mind, it is the goal of the authors to make the database and to request the support of archeological researchers in the tri-state area. As new dates are generated, the basic data described in the following database should be sent to Mr. Niquette at cmniquette@crai-ky.com or mailed to him at Cultural Resource Analysts, Inc., 151 Walton Avenue, Lexington, Kentucky 40508. In this manner, the database will be updated continually and remain current.